Thank you co-chair Dean Jo-Ann Rolle and Sponsors. 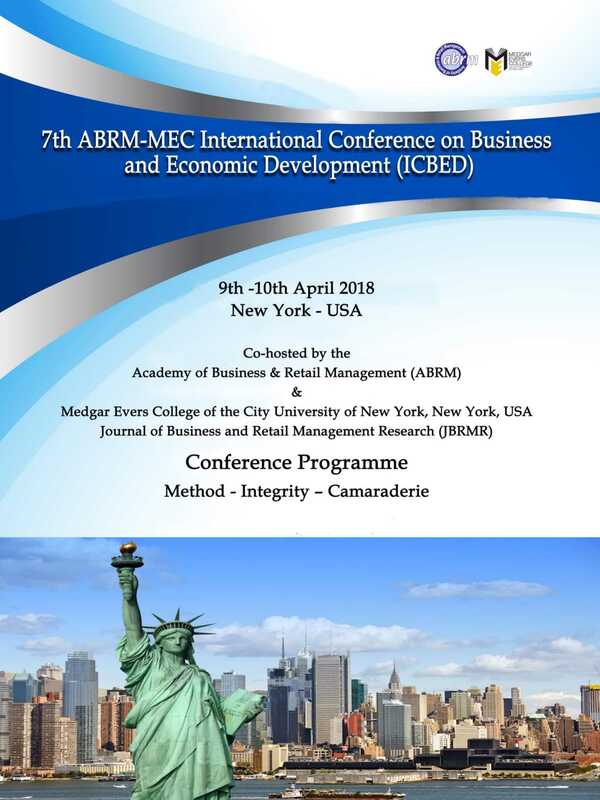 I am honored and extremely humbled for the opportunity to be a keynote speaker at this 7th International Conference of Business and Economic Development 2018. As a student of the 1st class of Nursing at Medgar Evers College and as a health care provider for over 30 years, I am well aware of the impact sickness, both physical and psychological, can have on the human psyche. I have seen how diseases, such as cancer, have become so prevalent in our society, calling for a greater need for home care. Opioid addiction has become a poignant and urgent social disease, affecting even the most affluent of neighborhoods. These drugs have taken a major toll on our society, destroying both individuals and families. Again, calling for us, our health care providers, to “step up to the plate”. My practice as a Registered Nurse has taken me across all areas of New York City and also within various ethnic neighborhoods from Kingsbrook Jewish to Maimonides from New York Hospital (Gracie Square) to Harlem Hospital, Special Surgery, and Joint Disease. I have garnered so much; even my experience at Marcus Garvey Nursing Home has helped me in profound ways to become the nurse that I am today. It was indeed an eye-opener to not only work in these areas but to experience the people, the different cultures, that define the “Melting Pot” that is New York City. My passion for the skills necessary as a psychiatric nurse in helping to bring a person from the brink of despair and depression was not an easy feat. Personally speaking I had to overcome so many challenges within my own life but, with the challenges of my life, and my years of experience as a nurse; afforded me the ability to identify human frailties on the emotional side enabling me to direct these individuals to get the necessary care needed. We, as guardians of FAB Home Care industry, may not be able to find all of the answers that plague today’s society, but we surely intend to be over zealous in our effort to gather the help needed to bring about significant change in the communities. We are licensed to provide care for and consequently society at large. A small victory in this area could surely be considered a great achievement. With the foreseeable closure of hospitals, we detect an increasing need for entrepreneurism in the field of nursing; as we search for creative way of meeting the ever changing demands of our communities. We envision a transformation in both standards and authenticity of patient care and we believe in the basic tenet that the results are always a reflection of the level of awareness of our environment and the needs of that environment. F.A.B.’s Mission Statement is “The Passion of Caring Is Contagious”. Our primary objective is to decrease the need for frequent readmission to hospitals and to provide an alternative for patients who require close monitoring and comprehensive care. It is the ultimate goal of F.A.B Home Care to branch out into the entire New York City Region. However, we see an immediate need for genuine, compassionate, and personable nursing care within our local community, which we feel should first be addressed. In conclusion in the words of Booker T. Washington, “I have learned that success is to be measured not so much by the position that one has reached in life as by the obstacles overcome while trying to get there”. The vision I have for F.A.B Home Care Service Agency is to be an Agency by the people for the people, self-sustaining and providing continued employment through partnership with my alma mater Medgar Evers College and other educational institutions. This goal requires the involvement of families through community networking encompassing the political system as a driving force. Whom in politics is willing to enhance the necessary changes to make this more than just possible? Whom as investors is willing to invest in a vision that will help to change the lives of so many? Who as providers is willing to partnership in this plan and make it happen? The race is not for the swift but through dedication, determination, and perseverance, it can be won. Hence, with the alignment of possibility workers, the comprehensive needs of our communities will be met, changing the trajectory of the lives of so many from poverty, suffering and disease, to success health and wealth is attainable. Then and only then, do I sincerely believe that the vision of F.A.B Home Care Services Agency will be attained. And, “To God be the Glory”.